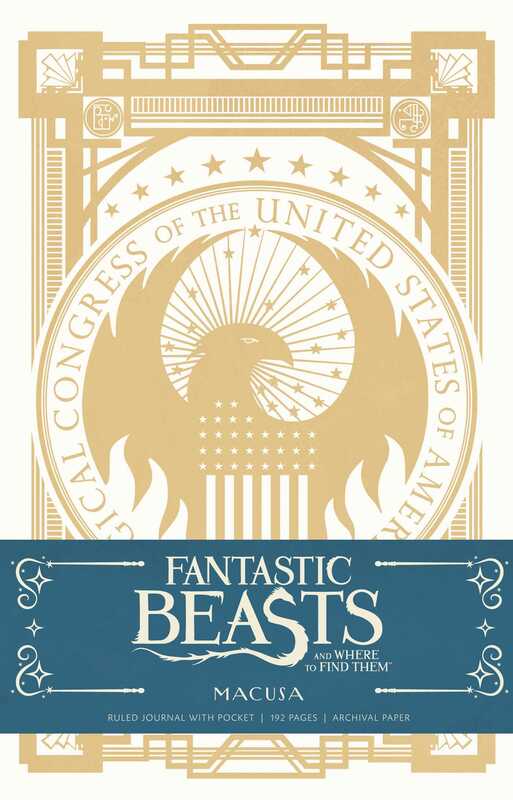 The Magical Congress of the United States of America, or MACUSA, has been the governing body of wizarding America since 1693. Emblazoned with MACUSA’s phoenix emblem, this finely crafted journal celebrates the exquisite art and design of Fantastic Beasts and Where to Find Them, making it the perfect accessory for fans of J.K. Rowling’s Wizarding World. With sturdy construction and a sewn binding, this journal lies flat, and the 192 lined, acid-free pages of high-quality, heavy stock paper take both pen and pencil nicely to encourage inspiration. The journal also features a ribbon placeholder, elastic closure, and 7.5 x 4.5–inch back pocket, ideal for holding photographs and sketches.